ATLANTA — Secretary of State Brian Kemp has won a bruising Republican runoff in the race for Georgia governor, leveraging a damning secret recording of his opponent and a late Trump-Pence endorsement. With Tuesday's win against Lt. Gov. Casey Cagle, Kemp will Democrat Stacey Abrams in November. Abrams could become the country's first black woman governor. The race will test Democrats' assertion that changing demographics have turned the traditional Republican stronghold into a swing state. A well-known figure at the Georgia Capitol, Cagle entered the Republican race as the presumed front-runner. 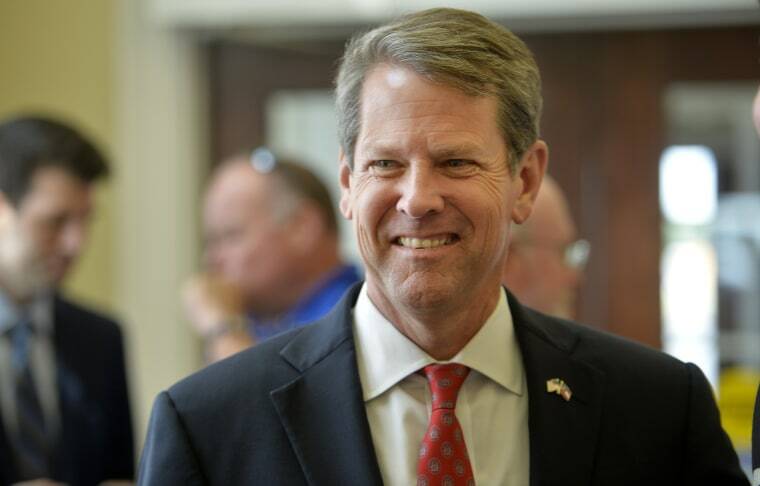 Kemp, even as a statewide elected official, positioned himself as a "politically incorrect conservative" outsider perpetually battling liberal Democrats. Both Republicans had tried to align themselves with Trump, while taking hard lines on immigration, guns and social issues. Cagle had called Trump's decision to back Kemp an "unprecedented act" but said that he would have still supported the president if he were elected.